Two friends of mine were in a shop together recently and spotted a journal made out of an old Nancy Drew book. They immediately thought of me (due to my love of both Nancy and journaling) and bought me this gift. Remaking an old object into a new one is especially important during this era of recycle / refurbish / reuse. But having these older images and items around serve a greater purpose as well. They are comforting reminders of the many journeys within a lifetime. 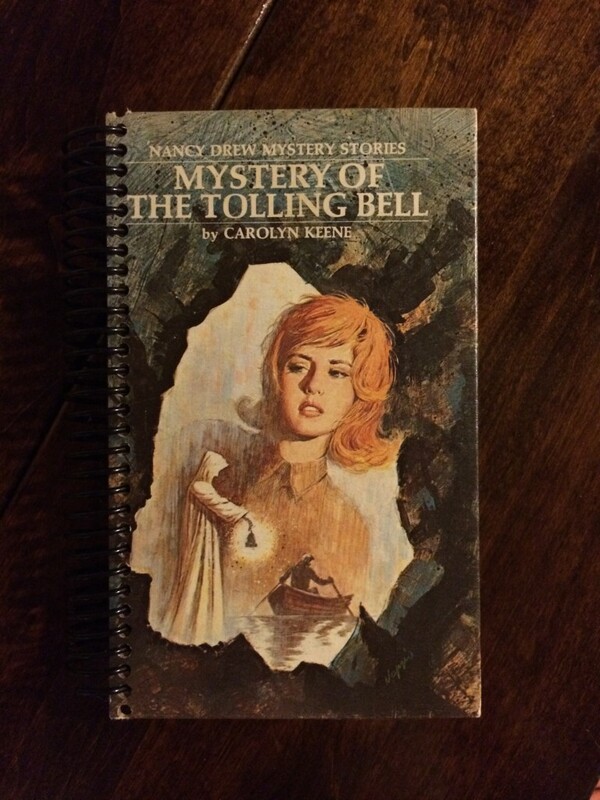 I look at this Nancy Drew journal cover, and I remember going to the library with my grandmother. I remember falling in love with reading. I remember racing to finish my homework so that I could read the books not assigned by a teacher. I remember my delight at following the adventures of a smart, independent young woman, knowing that I would be one of those someday, too. We sometimes need those items of nostalgia around to reconnect us to an innocence, a hope, a perspective from the past that helps to renew the present.